Order Xanax Bars Online Cheap Have you ever tried to listen, attentively, to the same record in two different seasons, moods, environments? I recently went back to dig an album that had already hooked me four months ago while, here in Europe, the days were long and the sun high in the sky. Now, with the leaves falling from trees and the Christmas lights blinking in the streets, this timeless album still grows on me. http://charlotteskitchendiary.com/category/recipes/dinner/page/18/ Chris Abrahams is the pianist and composer with cult Australian improv trio The Necks, and Play Scar is his fourth solo record, released by Room40 in July. http://charlotteskitchendiary.com/tag/burmieston/ As a solo artist, Abrahams’ experimentation goes well beyond the piano; the complexity of his approach builds a haunting mix of experimental music fragments and soundscapes, while his artistic freedom creates gloriously unusual music. http://charlotteskitchendiary.com/2015/11/13/welsh-cakes/ Play Scar is this and more. It’s a contemporary and immersive listen. It’s a record bathed in wistful romanticism, with dense ambient jazz motifs and an intricate atmosphere. It’s a neo-classical piece in which the sequencing of the tracks builds a hypnotic overall flow. http://charlotteskitchendiary.com//1.rar Particularly magnificent is “There He Reclined”, the abstract opening track, an exercise of style made from Hammond organ, broken piano, and a delicate background of glitch-noise. “The Same Time” is a melodic church organ piece that grows in pitch and slightly comes into focus, before being abruptly shut down. 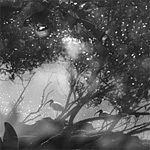 “Bird and Wasps” is frenetic minimalist noise and dark, granular ambiance. “Leiden”, the last of the eight tracks on the album, is a sleepy, jazzy shuffle of rhythms and gleaming keys, a serene goodbye to the listener. Lorazepam Buy Online Play Scar is a very subtle pleasure for your ears: there is plenty of detail which needs close listening (only possible on headphones) in order to enjoy all of the hidden layers and the impressive audio mastering. An essential album, for sure, and for all seasons.